If you are looking for the lightest racquets that are offered by Wilson, you will be happy to know that the K Zero is just what you may need. 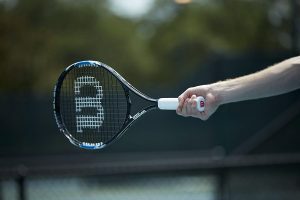 The design was inspired by Roger Federer, the racquet offers a remarkable amount of power packed into its small frame. The Wilson [K] Zero Strung Performance Value Tennis Racket is primarily designed for those who want to play the game of tennis on a more recreational level. It is ideal if you are looking for a racket that won’t cause you to spend too much energy on the court. It will provide you with power shots while keeping your gameplay comfortable. With a head size of 118 square inches you find this racquet to have a very large head with a larger than average sweet spot. The larger head does not affect the weight of the racquet as it is still very lightweight coming in at just 9.1 ounces when strung. It is pre strung with 16g synthetic gut extreme Wilson string at 60 lbs. The KZero racket from Wilson includes Kompac center technology which provides additional feel as well as maneuverability and improvement of handling. It also features Kontour Yoke technology which is a frame technology that improves your speed while improving the torsional stability of the racquet at key stress points. The next K technology is the Karophite Black which is what makes the structure of the racquet unique. It provides a stronger and more stable feeling racquet in the end. Wilson brings you the lightest tennis racquet in their line up in the form of the KZero tennis racquet. This racket does come in a little more expensive than others but it is made with the highest quality materials and with a range of proprietary technology. With enhanced control you will find the racquet stable and you will find maneuverability to be enhanced. If you want to have more power and be in control of the shots you play then this is definitely a good pick for you. 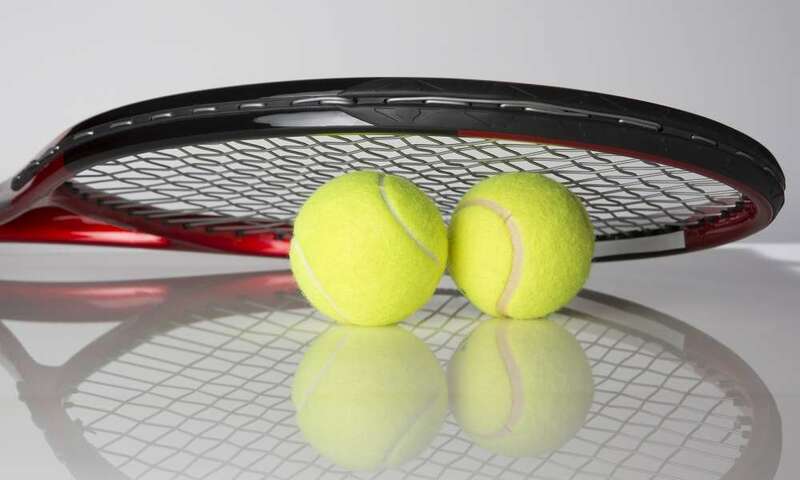 With a head size of 118 square feet and weighing in at just about 9.1 ounce and with a 6 point balance you can expect the best in stability that will not be found in many other racquets out there. It is a solid racquet that offers power and support to help you play a more improved game. As this compares to others on the market in the same class you will find that it is lightest you will find. So if the weight of the racquet is important to you then this is a good pick. When you take into consideration the ration of the head size and length of the racket to the overall weight while strung you find that the unit is indeed one of the most lightweight on the market and the lightest one you will find from Wilson. If you are looking for something that offers a bit more shock absorption you may want to look elsewhere because this one could do with a little more shock absorbing power since it is so lightweight. The focus of the design of the K Zero tennis racquet from Wilson is mainly on maneuverability and power. You will love how lightweight it is weighing in at just 9.1 ounces when strung. You don’t want to have a heavy racquet swinging around on the courts so this is your best pick. It helps to improve your mobility while providing you the ability to hit quick shots. It features a very impressive head size along with a large sweet spot that provides you with exceptional power and forgiving shots which will never land center. If you are looking for a racquet that will add a bit of energy into your shots and which will improve your game overall you will be happy to purchase this racquet and as you learn to play with it, it will easily become your favorite. It is a great option if you are playing recreationally and not looking to compete. It features a decent shock absorber to protect your shoulders, arms and wrists while keeping you comfortable at the same time. It helps you to keep your energy levels high so you can enjoy your entire game and play full of vigor for the entire length of game play as well. We definitely recommend this pre strung model that will be ready to use right out of the package.